By default, unless you buy a jazzy caravelle the T4 doesn’t come with any kind of cruise control. With so many of these vehicles being converted into full on campers and doing some serious mileage, cruise control would be a nice option. Handily, if you have a T4 2.5 tdi (which we do) you can retro fit cruise control, you can also fit it to other models but the 2.5 tdi seems to be the easiest to do. I chose to buy the genuine VW kit for about 90 quid, it comes with everything you need and competent instructions. I’m not going to repeat what is in the instruction manual but I am going to give you an honest account of fitting this myself. The hardest part of the whole fitting escapade is getting the air bag off and my one piece of advice is this, the instructions state “use a 170mm screwdriver”. They mean a flat head screw driver and anything longer than the stated 170mm will completely miss the spring clips and you’ll be out there for hours getting nowhere (been there) so get a tape measure and measure the length of your screwdriver..
From here on it’s dead easy, the instructions don’t tell you to disconnect the cable that goes to the airbag and you can only do that by removing the steering column housing. The instructions also give the impression that you need to remove both stalks when in reality you don’t, just remove the three bolts as per the instructions and the stalk you want to change will come off leaving the other one where it is. You will also be instructed to more or less take the fusebox out to get to a plug at the back, in reality all you need to do is undo and remove the fuse board cover / dash cubby, head down into the footwell with a torch and you will find what you are looking for. 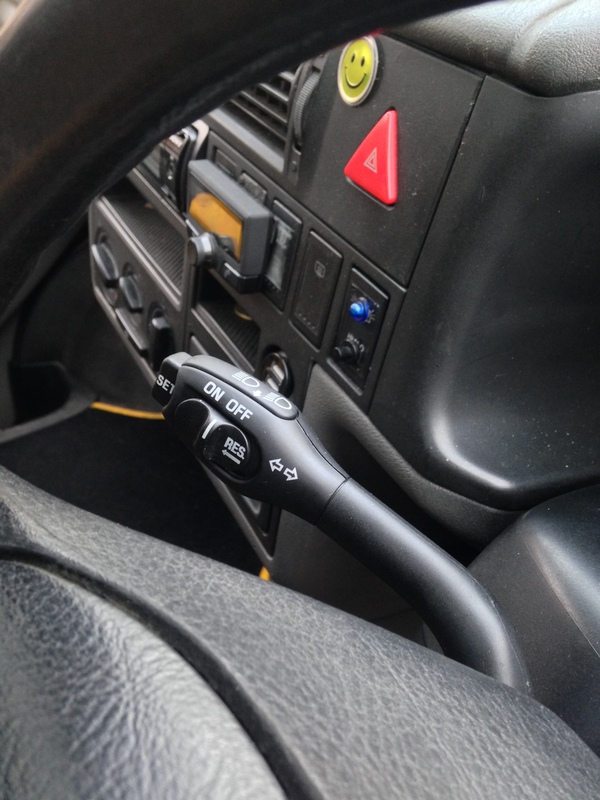 Once everything is connected and back together you will need to hook your van up to a laptop with VAGCOM and turn the cruise control on, you will have a nice new OEM cruise control stalk that looks like the below. 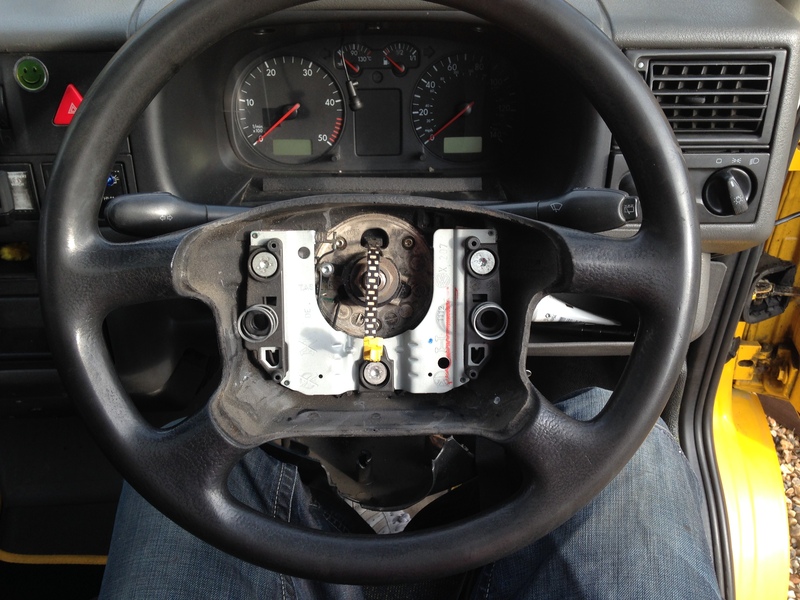 This is more of a frustrating than difficult job mainly because of the airbag removal, if you can change a wheel you can do this, there is plenty of advice on the internet and forums if you get stuck.